We offer a professional corporate identity design service that understands your business and properly communicates your company’s values to potential clients. Without professional corporate identity designing, you can’t expect your business to be remembered. All our efforts are directed towards making your business identity charming and easy to remember. 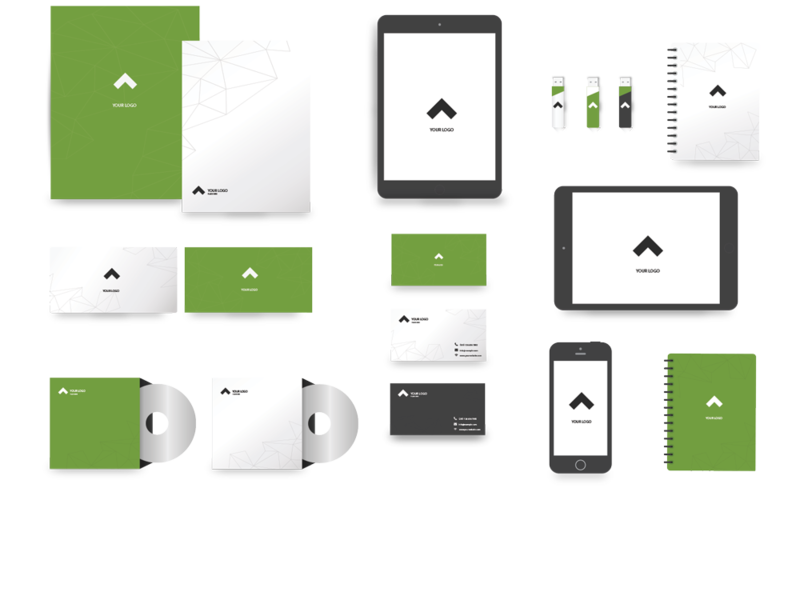 A corporate identity comprises a collection of visual elements such as logos, taglines, fonts and colors used to identify your company, create an image and promote it. A strong corporate identity expresses your vision, purpose and values while aiming to differentiate your business from its competitors. A positive image helps you attract and retain customers, establish alliances, obtain financial support or even receive good press. Our standard delivery contains 2 initial logo concepts, unlimited logo revisions, professional logo artwork files, full color, grayscale, black and white versions of the final logo. Letterhead, business cards, envelopes, disc covers, etc. We deliver 2 initial stationery concepts, unlimited stationery revisions and professional print ready artwork files. Facebook profile and cover image design. Twitter profile, header and background. Linked In covers and profile images. YouTube, Vimeo, Pinterest etc. The design manual is the cornerstone of corporate identity. It contains definitions of its individual parts, such as logo, font and color scheme specification. The design manual include rules and recommendations on how to handle these elements of your corporate identity.